Anne I hope you will post photos of those pieces after they are dyed, I’d enjoy seeing how the dye interacts with the different fiber contents and see how the patterning unfolds as a result! Inspirational for sure. I am only weaving on 8 harnesses but I have a 20 harness loom so maybe one day I’ll be ready to explore beyond the 8! thanks for sharing. your work is amazing. Are these all 16H patterns? They are beautiful, each and every one! This is gorgeous! 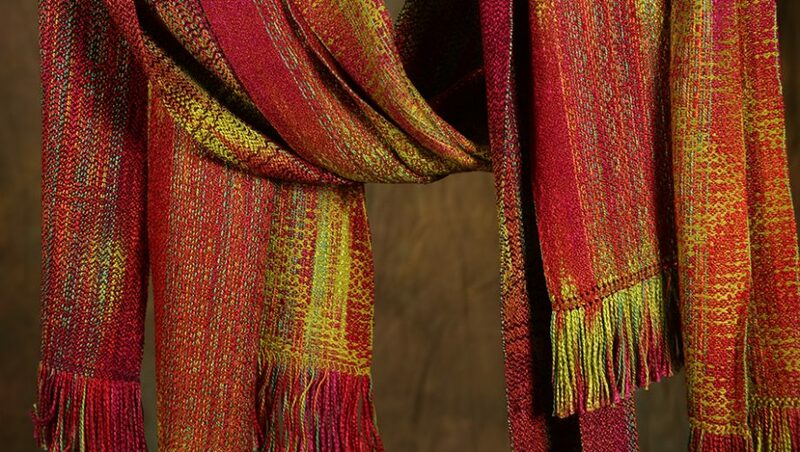 Having just completed a book about our guild, I love the concept about writing about weaving. Can you save me the last Wintetdawn towel (skimpy no. 10) ?